Just recently, in Coquitlam BC, Canada the International Scooter Association held the North American Qualifier. 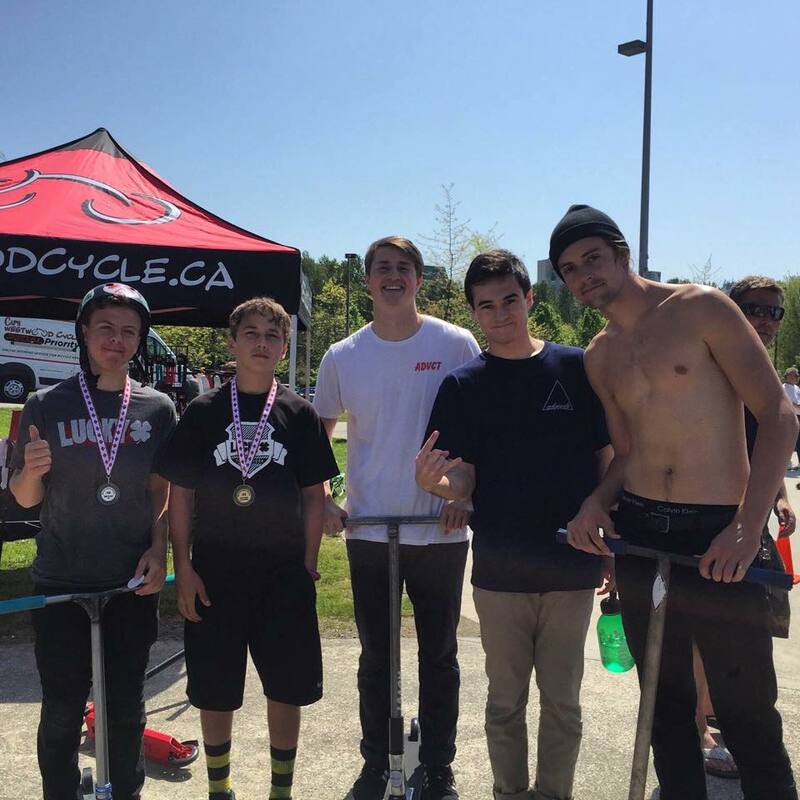 Lucky Scooters just so happened to have quite a significant presence at the event, with pro team riders Bayley Maxcy, James Gee, Evan Yamada, and myself (Blake Bailor) making an appearance, as well as Title team rider, Kaleb Kier. The event meant that in order to move onto U.S. nationals, riders were going to have to place top 10 or better. Also, the rider who places first in the competition would move directly onto the ISA world Championships. Everyone killed it super hard in the contest and brought everything that they could to the table. It was a great ISA qualifier event. At the end of the event the results were announced and both Bayley Maxcy and Kaleb Kier podiumed in their respective divisions, which was excellent news. Kaleb with a first place win in the Amateur division and Bayley with a second place finish in the pro division. Also, a huge congratulations to Bayley for qualifying to go directly to the ISA world championships! Good luck dude (No pun intended)! Be sure to stay tuned right here for future ISA event news and updates.